In honour of International Cat Day, Recruiter spoke to a recruitment agency that has a feline receptionist. Earlier this summer, Recruiter brought you a story about the benefits of having canine consultants to call upon to celebrate Bring Your Dog to Work Day. In the interests of balance, Recruiter spoke to veterinarian staffing agency A1 Locums about their feline receptionist TC. Senior recruitment consultant Sophie Vickers explained TC’s in a job share with his canine companion, a black Labrador by the name of Wilbur. According to Vickers, TC and Wilbur are known to come around and meet visitors to the office with a friendly miaow or woof, which she says always lifts the mood of the office and makes everyone smile. TC doesn’t have a long commute as his home is just next door to the office where he lives with his human, A1 Locums director Clare Alderton. 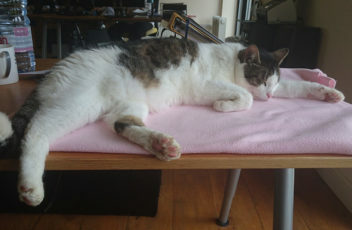 While TC is a friendly kitty, interaction with him is on his own terms, Vickers adds. But it appears TC’s been a free spirit since he was little. “When he was a kitten, Clare had her window open. He made a swift exit out the window and he was hanging on for dear life with his little claws. Anne made Clare go and make a cup of tea as a distraction and [recruitment manager] Anne [McManus] went to catch him. We think that’s one of his nine lives done. 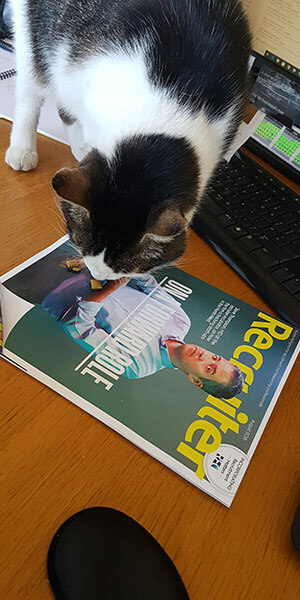 Despite all this, we know that all the staff at A1 Locums are feline that TC is the purrfect member of the fur-midable team of paw-some recruiters [enough of the cat puns – Ed.]. A1 Locums has released a new app to make the lives of busy veterinary professionals simpler, by enabling registered locums to get in touch easier at the swipe of a screen. By using the new app, they will be able to contact A1 Locums quickly to let them know their current availability, apply for a job on the go, or make contact via WhatsApp. 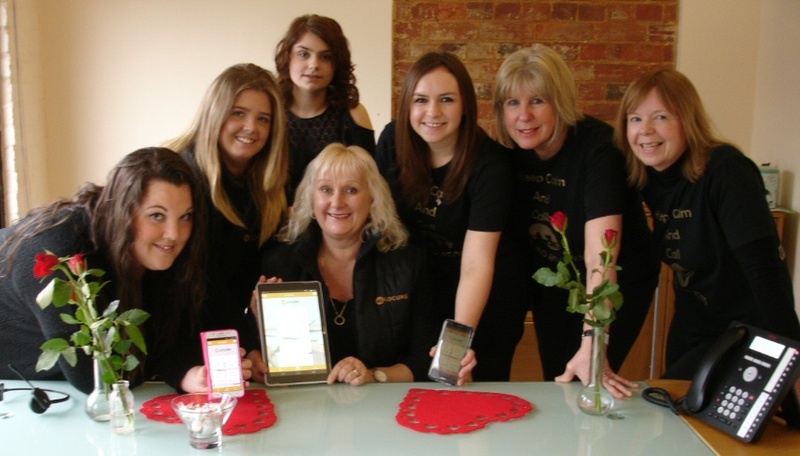 The new A1 Locums app is now available for download. 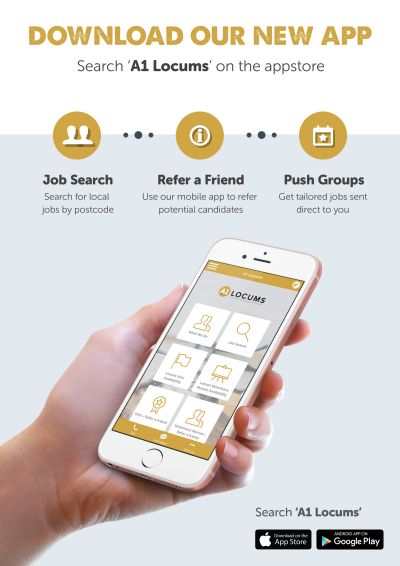 Registered locums will be sent the link to download this free app straightaway, enabling them to be in touch immediately with the recruiters at A1 Locums. The candidates can be set up to receive only certain emails via push groups – relevant to the type of work they are looking for, areas or the companies they like to work with. If veterinary professionals are not registered with A1 Locums and are interested in the app, they can register here before downloading it. 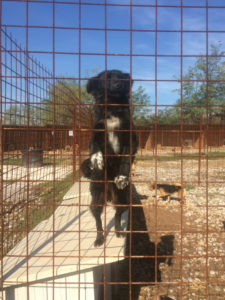 One of our locum vets, Helen Brown, has recently returned from Bosnia, volunteering at the Nirina Dog Shelter. Helen gives an amazing encounter in the blog of what it was like. A1 locums will be supporting the charity be sending a donation instead of Christmas cards this year. 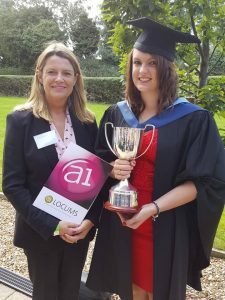 Well done to Laura in achieving such excellent results and winning the A1 Locums award for 2016. Laura graduated from Harper Adams University with a first class honours degree and is currently covering a locum maternity role Wicstun Veterinary group in Market Weighton, Yorkshire, which is a mixed practice. Her plan is to save up and eventually travel and work abroad, potentially in Australia. Laura would like to do some work with wild animals, or work on ‘neuter and release’ programme, whilst travelling. In her final year at Harpers, she was course rep, enjoying organizing events for special veterinary students. Her main passion is nursing and she is now surgical nursing and she has commented that being scrubbed up is one of her favourite jobs as a veterinary nurse. As a student Laura was a highly motivated and dedicated student, very popular with her peers and staff. Her dissertation was titled ‘Investigation into whether the provision of post-operative care information to clients at the time of patient admission benefits the patients aftercare’.